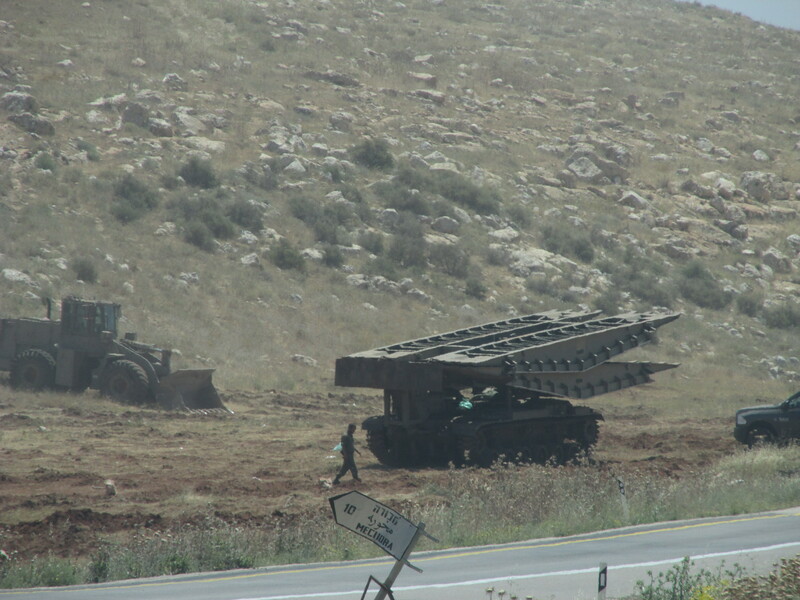 From the 3rd to the 7th of May, large-scale military training took place across the Jordan Valley, greatly affecting the everyday life of the Palestinian inhabitants. Significantly, 56% of the Jordan Valley is now a designated military zone and Israeli military train here regularly throughout the year – despite the fact that about 2700 people live in these areas. Ahmed Salim Bin ’Oudi is clearly upset when we meet him on his farmland between the villages of Khribet Humsa and al-Hadidiye. He shows us samples of his yield, some of which are still unripe. Despite this, he is now harvesting from fear that the coming military training might cause a fire to spread and destroy his livelihood all together. A week later, we travel around the area meeting families affected by the latest training exercise. With temperatures higher than 40 degrees Celsius, the wheat has been harvested from most of the fields. Over coffee and sweet tea, as is the Palestinian custom, they speak of the hundreds of tanks and military vehicles they have seen passing their homes. Many of the people we meet shrug their shoulders and tell us “it’s normal, we are used to it” when we ask about the training, despite the fact that it has a great impact on their daily life and livelihood. During the latest training, about 50 families were forced to evacuate their homes for hours, and in some cases the entire day. They were only notified of this evacuation three days in advance, this gave families very little time to safely relocate themselves and their livestock. During the training days farmers were prevented from reaching their farmland, shepherds prevented from grazing their sheep and children were unable to access their school. Even more worrying is the fact that undetonated ordnances have been found around many of these villages. On the 19th of May, one man in Hammamat al Mayteh was injured by one of these highly dangerous ordnances. 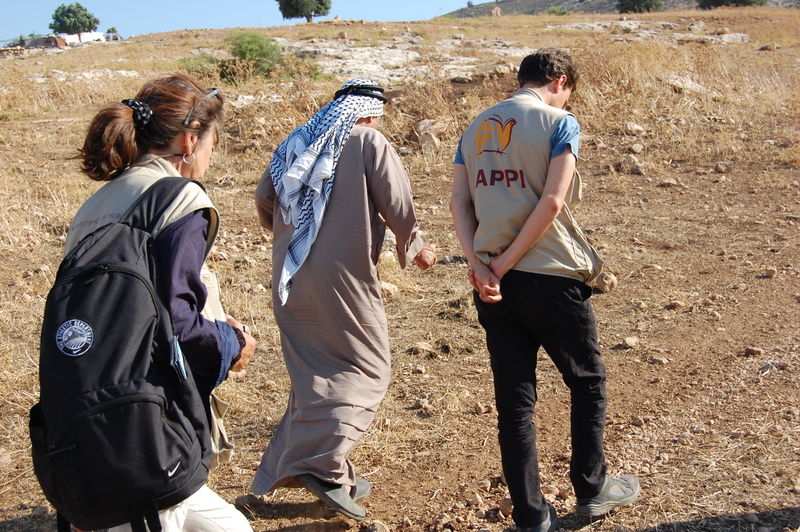 Tariq Abu Oum in Furush Beit Dajan heads one of the families evacuated during the training. After evacuating his wife and nine children, he stayed behind to watch over his fields and property. At 2am, the Israeli army arrived, forcing him to leave and join his family. He returned the following evening to find his electricity had been cut. This is proof that Israel is not only aware that the training exercises do not take the livelihoods of Palestinians into consideration but also that it cares about its international image. This also shows the effect the international community can have on the efforts to end the occupation of Palestine. Write to your elected representatives and ask them to support the call from Palestinian Organisations to the EU and member states to ‘Act now on Israeli Military Training‘. 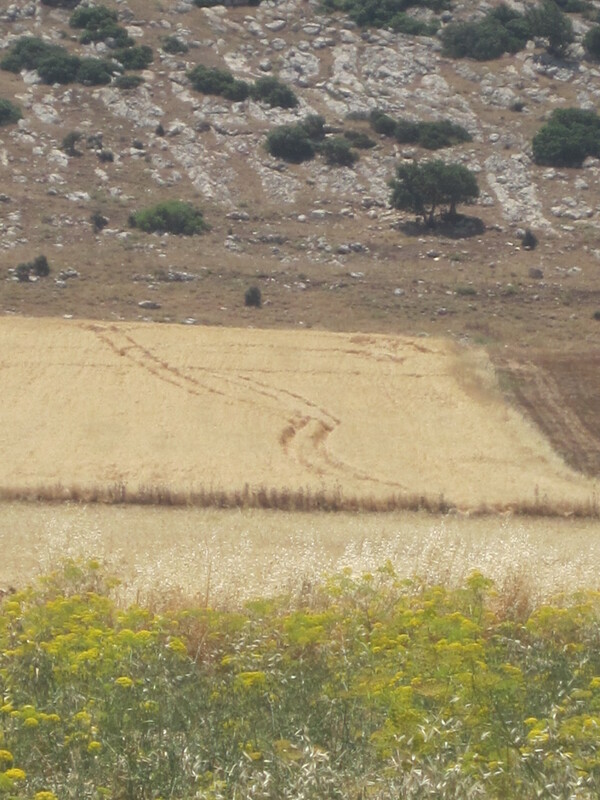 This entry was posted in Access to resources, Firing zone, Jordan Valley, Land confiscation, Palestinian culture by EAPPI. Bookmark the permalink.